Get ready to get noticed. Bright, attractive high-definition digitally printed posters are a very cost-effective way to promote your retail brand and special offers. Here at CSDPrint we have all the high spec technology needed to print your retail posters – whatever the size, shape or format. We print single and double sided posters using only top quality poster papers, plasticised papers and fabric. And when we say we can print any size we really mean it! As well as all of the standard A sizes, our large format printers are capable of printing really big – up to 2.5m tall and as long as you need. 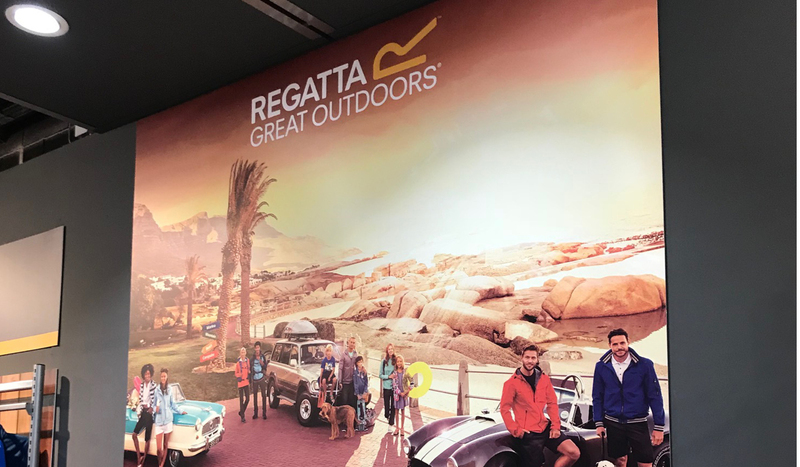 Here at CSDPrint we produce retail posters for a really broad range of in-store applications for example for window promotions, wall mounted graphics and overhead hanging displays. You’ll get all the suckers, wires and rails you need to securely install your posters. Just recently we helped a client get really creative with fabric printed graphics which were draped from their boutique ceilings using ribbons. If you want something a bit different for your store promotions you know who to ask! We also supply sturdy poster frames such as A frames for exterior advertising. These are ideal for placing on the pavement outside your store or on your garage forecourt.